Typical staffing agencies focus on recruitment and temporary employment in an effort to provide payroll and employment services to organizations that would rather not take on the task themselves. Recently we had the chance to speak with Saar Bokstein, CEO/President of Cut Above Agency and we quickly realized that Cut Above is in no way typical. Saar’s education and experience has allowed him to recognize industry shortcomings as they relate to this specific industry. And, his passion and love for cannabis has driven him to develop one of the most exemplary service companies that we have seen. Check out what Saar had to say about his motivation to start Cut Above and where he sees the industry heading in the years to come. 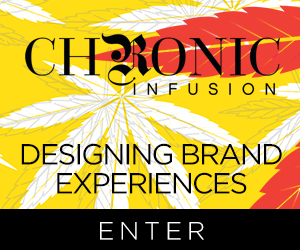 Vegas Cannabis Magazine: Give us a little background on yourself and what prompted you to enter the cannabis industry. Saar Bokstein: Growing up, I was an athlete and the subject of cannabis, whether in sports or from my family was very taboo. When I moved to the United States in my early 20’s, I tried cannabis for the first time and I immediately fell in love with it. From that point on, my daily consumption brought quite a bit of grief from both my mother and my girlfriend at the time. Not willing to let go of the typical stoner stereotype mindset led my girlfriend to give me an ultimatum of either her or the cannabis. Well, take a guess at what I chose. As time went on, I came to the realization that there was more to this plant then just the ability to make one feel good. Thus, began my investigation into cannabis as medicine. At the time, in early 20’s, there was not too much information readily available. My educational journey started appropriately in Amsterdam, where I worked for cannabis farmers for free in order to learn what I could. From there, I travelled to Israel and worked within the cannabis industry there. Eventually, my journey led me to Colorado where I lived for a year and a half in a new city, with no friends or contacts. At the time, Colorado was the place to be, the cannabis mecca if you will, and while there, I took full advantage of it. I learned about every aspect of cannabis from growing and harvesting to curing and trimming. As a consumer, I love cannabis, and value the medical benefits it has. And obviously, the businessman in me saw the potential that cannabis has to offer to the world now and in the future. VCM: When did you start Cut Above? SB: I started Cut Above almost three years ago. Living in Denver at the time, I first visited Las Vegas for a few days, I learned that Nevada was facing the possibility of becoming a recreational state, and Las Vegas was where I needed to be. I moved here with the intention of creating a full-service cannabis staffing company that would make a difference. Working in cultivation and production allowed me to see firsthand that the cannabis industry in general was lacking competent, professional, driven individuals. It is one thing to love the consumption of cannabis, but an entirely different thing to work with it every day, and under very strict supervision and guidelines. We at Cut Above Agency want to lessen the burden and basically eliminate all HR headaches for our clients. 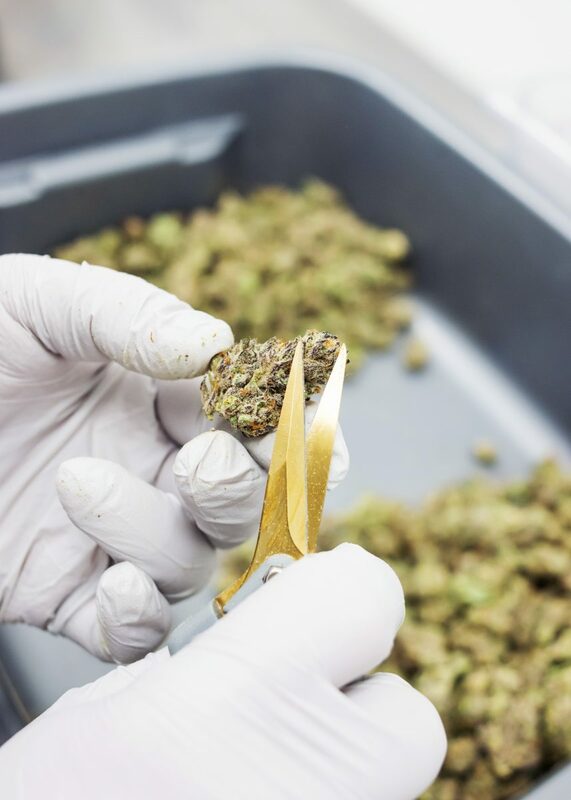 In addition to that, our trimming, harvesting, packaging and general grow help services are performed with care and we pay attention to even the smallest details. We thrive on our clients being completely satisfied. VCM: What was your motivation in starting Cut Above? SB: I wanted to build a fun, challenging and safe working environment for our employees. As for our clients I wanted to create the ultimate solution for their problems and alleviate the stress of staffing, and the daily challenges it brings with it. It is my goal to operate as an industry protector and ensure that the men and women that come through Cut Above Agency are exceptionally trained and eager to enter the industry as professionals. VCM: What type of business were you in prior to opening Cut Above? SB: Prior to starting Cut Above, I worked in a variety of positions within the industry. Trying my hand at everything from packaging and extraction to harvesting and trimming, it was my goal to be well rounded and knowledgeable in the different aspects of cannabis cultivation and production. Working hands-on in the different aspects of the industry gives me the ability to relate and guide our employees working at Cut Above Agency. VCM: What sets Cut Above apart from other staffing agencies? SB: In one-word excellence. Those employed by Cut Above Agency are receiving ongoing training to continuously improve their skill set while keeping them up to date on changing laws and regulations. We are not a typical staffing company. Cut Above Agency is the gold standard for cannabis staffing, we are about increasing production, decreasing cost and eliminating downtime. Our prescreened employees are trained, multi-licensed, insured and under our company supervision. We remove the burden of staffing challenges. As our client you will feel the Cut Above effect immediately. Our experienced management team will ensure that each facility we work with receives their ideal employees who arrive ready to take on the important daily tasks within the production and cultivation facilities. Our teams enter facilities with discipline and respect, we strive to do our best each day. VCM: What changes do you think the cannabis industry needs? SB: I am very proud of the industry and where it is today. I am thankful that the government is slowly allowing more states to move towards legalization. I believe that Nevada’s industry needs more leadership from within. We need better knowledgeable people to step up and give guidance and motivation to those that are entering the industry. All of us working within the legal Nevada cannabis industry need to be thankful that we can wake up each morning and work with this amazing plant. VCM: Where do you see the cannabis industry five years from now? SB: Hopefully five years from now we’ll see an end to cannabis prohibition throughout the world. The possibility of importing and exporting cannabis across states, the incorporation of infused foods within dining establishments, and the reality of consumption lounges opening. The growth of the hemp industry will re-introduce a new way of manufacturing textiles and building materials. The possibilities are endless as long as we have motivated and educated leaders making informed decisions about the usage of cannabis, and a public that will be respectful and responsible with it. These are some of the things I am excited to witness in the future. VCM: How can readers reach Cut Above? SB: To reach Cut Above Agency, please call (702) 553-1082 or visit us online at cutaboveagency.com. We are also on social media: Instagram @cutabovecannabis or Facebook @Cut Above Agency.